Company reports are a very useful resource that enable users to visualize and filter the information of the cards in two or more pipes in a single place. The first step for creating a new company report is accessing the company reports area by clicking on the reports option in your company header (between database and apps&integrations). If you already have reports saved, you'll be redirected to a screen where you can either access your saved reports or create a new report. 1. 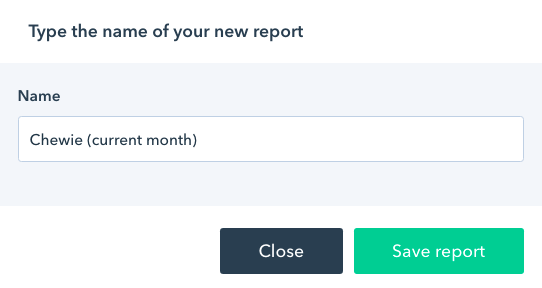 The first step for creating a new company report is selecting which of the pipes you're member of you want to see in this report. The default selection comes with all pipes selected so you can click on "Deselect all" and select just the pipes you want to see. 2. After selecting the pipes you can click on "Add filter" to filter your pipes' cards data by ID, title, current phase, labels, due date, creator, assignee, finished at, created at, updated at, last comment and last comment at. Let's suppose we only want to see cards that were created over the last month. To do so, we'll click on "add filter" and select the "created at option". When filtering cards using the date they were created, we can filter by period (today, yesterday, current week, last week, current month, last month, current year or last year) or by relative/absolute values (more than, exactly, less than, after, on, before). 3. 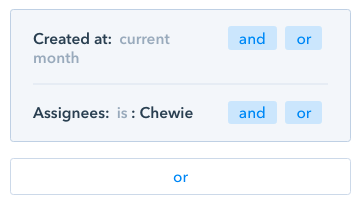 After we finish adding the filters you can select which of the general card's data you want to display in your reports.